Home » Varicose Veins » Varicose Veins – Why Me? Having varicose veins makes most people self-conscious about their legs. They tend to wear clothing to cover their legs, even in the hot Florida summers. It is inconvenient and uncomfortable. It may lead you to wonder “Why me?” as you look around and see so many others your same age with clear non-blemished legs and healthy veins. While one of the major causes is genetics and there isn’t a thing you can do to change your DNA, lifestyle comes into play as well. Women are far more likely to develop varicose veins than men, but even still as a woman, making the correct lifestyle choices as you age can help offset the genetic factor. Smoking – Don’t start and if you already smoke work on quitting. Cigarettes contain numerous chemicals that are terrible for your cardiovascular health. Wearing tight constrictive clothing – This can cut off blood flow and force other veins to work even harder. Over time it can lead to issues including varicose veins. Maintain a healthy weight – obesity puts unnecessary pressure on your entire body, veins included. Standing or sitting for extended time periods – Blood doesn’t flow as well if you are always in a stationary position. Walking pumps blood to the heart. Rest allows your body time to recuperate. Wearing compression stockings or socks – if you begin to notice your legs are sore and tired at the end of a long day, compression stockings can help your veins function at highest capacity. They can’t correct vein issues but they can help to alleviate symptoms. Rather than wondering “Why me?”, be proactive and treat your legs well. The key to aging gracefully is maintenance! 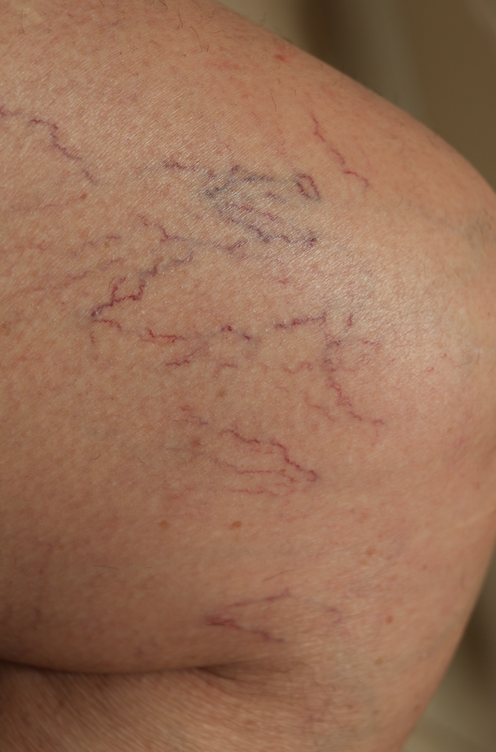 If you notice a vein issue beginning, the sooner you see a Vein Specialist the better outcome you will likely have. Give West Florida Vein Center a call today. 727-712-3233 or visit www.westfloridaveincenter.com for more information about Dr. Mark Zuga’s practice and how he can help you.